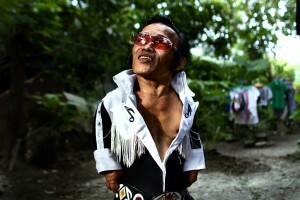 Yang Enzi class 2010–11 made a short web documentary about the seven members in the China Disabled Track Cycling Team. The team trained for four years to compete at an international level and took part in the 2012 London Paralympic Games. They won six gold medals, four silver medals, and five bronze medals. As a team, these individuals have a better life. Li-Lian Ahlskog Hou class 2010–11 produced Stars Made in China, a short web documentary following the lives of three foreigners living in China. Liam, Martin and Viktoria are not known in their home countries, but after learning fluent Chinese they get the chance to perform on Chinese TV. In their struggle to become famous artists, they learn that the world of fame is not quite the same in China as it is back home. 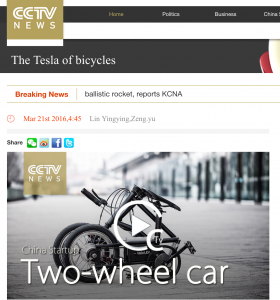 Zhang Xinwen and Kong Yiqiao, both current 2015–16 students produced and published a multimedia story for CCTV’s StartUp series. The work was broadcast and published online on multiple platforms. Each year IMMJ students team up with working professionals for a short practical field workshop. See the bottom of page for more group projects. 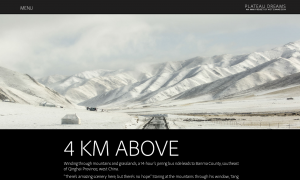 Vict Zhang, graduate of 2013–14 produced a multimedia – Plateau Dreams – project featuring a Tibetan School in rural Qinghai. The story explores minority culture and education system in contemporary China. Olga Stefatou, a graduate from the 2011-12 course, had her final project shortlisted for the important One World Media awards. 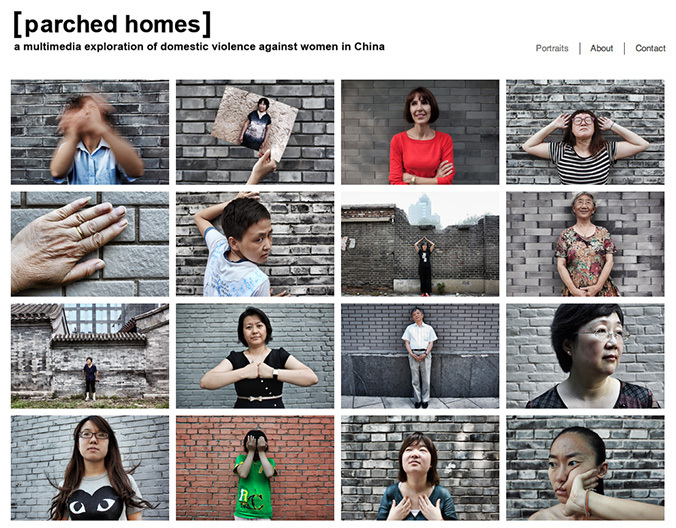 Olga’s story, Parched Homes, is a multimedia exploration of domestic violence against women in China. 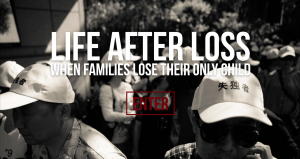 Sun Peng class 2010-11 produced and published a powerful multimedia feature for China Daily – Life After Loss – about Parents who have lost their only child — known in China as “shidu” families. This disadvantaged and marginalized group numbers about a million. Peng’s multimedia project presents the challenges they face, such as problems with finances, physical and mental health care, as well as struggles with government policies. These parents talk candidly about their stories and the efforts they’ve made to improve their lives. 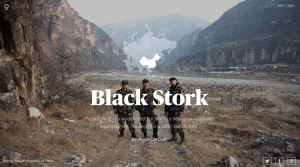 Alice Carfrae class 2013–14 produced a ten part multimedia feature for China Daily called ‘Wild Beijing’. The last thing you would expect to find in a heavily polluted ever expanding city like Beijing is wildlife. But there is plenty, and Alice explores Beijing’s wildlife and some of those of the front lines protecting it in ten episodes. Michela Orlandi, a graduate of the 2011-12 class, has had her story on the growing number of suicides in Chinese small businesses published online by the Seattle Globalist. Berta Tilmantaite of 2010–11 class made an award-winning video “The River Runs Back” it’s now playing on the Asia Society’s web site, as part of their China Green initiative. 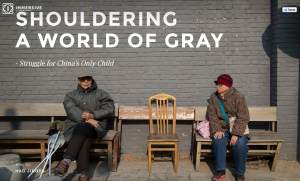 Hao Jingya of class 2014–15 Won a prestigious National Data Journal Competition with her multimedia feature – Shouldering a world of Gray – on the impact and legacy of China’s one-child policy on its current elderly generation. Mark Esplin of class 2011–12 made an interactive iBook about the environmental degradation of the Coral Triangle. Please do download and take a look. iBooks were popular that year, and Biel Calderon, also from Class 2011–12 made an iBook for his final project too. Photo, video and text were presented together in the iBook format, and Biel’s individual components were published widely in different formats, stand alone video online and images and text in print publications. Ellen Xu and Craig Kirk of 2012–13 class made an animated journalism game. Click to play this game about shadow banking in China. Shadow banking has grown rapidly in China over recent years and is now estimated to be worth as much as $3.4 trillion, equivalent to 45% of China’s gross domestic product. Not yet regulated by the government it has become a huge financial sector and will have serious effects on the future of China’s economy. 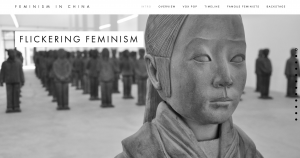 Vera Peneda from class 2012–13 focused on feminism in China. The video component she made for her final project was screened on CCTV’s Assignment Asia met three women from one family, each with a story that represents the changes in China, from one generation to the next. 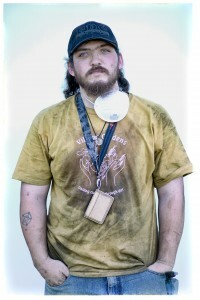 Jeff Kennel produced a multimedia book iBook, a print book and print exhibition called – Seeds of Harmony – with the gardeners of Seeds of Harmony garden in New Columbia, Portland, Oregon. 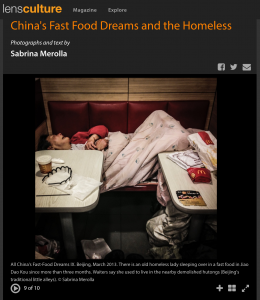 Sabrina Merolla class 2013–14 is one of IMMJ’s most prolific #instagrammers, her work on ‘Fast food sleepers’, a common presence in every fast food chain in China, all shot with a mobile phone was published in lensculture. For more examples of student videos, check out the course Vimeo site. During the Term 2 two-week intensive workshop, students work on small group projects, guided side-by-side with by professionals in the field. After building competency in Term 1, and refining skills in Terms 2, the aim of the intensive group project is to produce a group story of professional standard. Indeed, many of the final outcomes are published with professional news organizations. In 2016 IMMJ students teamed up with China’s biggest TV station CCTV and their multimedia business features about Chinese entrepreneurs were published on multiple channels, including TV broadcast, online, and social media. The 2012–13 class made a guidebook with a difference. The Jiuzhai Valley Multimedia Guidebook offers advice for an off the beaten track travel experience. We won’t lead you into the local tourist traps, but instead to local villages, a traditional Bon monastery and to a Tibetan homestay on the outskirts of the park. We provide information and sumptuous pictures of some of the unique adventure opportunities available, such as horse trekking, backcountry-hiking and eco-tourism opportunities. 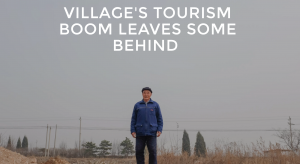 Meet the people who make Jiuzhai Valley special face-to-face in a series of short videos and listen to their stories about the local Bon religion, changing traditions as well as their favorite spots. The class of 2015–16 worked alongside professional multimedia journalists and editors to contribute to a CCTV multimedia feature. The series produced in the Term 2 Intensive, was broadcast on TV and published on multiple channels, online and social platforms. Students experienced working with a professional client for a professional brief. Here’s just one of the published stories.